In August of 1991 I joined a group of dream researchers from the U.S. and Western Europe on a journey to Golitsyno, a conference center just outside Moscow in the former Soviet Union, where we planned to meet several Soviet researchers for a gathering organized by Jungian analyst Robert Bosnak. Just hours after our plane landed in Moscow on August 19, the airport was suddenly shut down by the Red Army; a military coup against the Soviet president, Mikhail Gorbachev, had begun. 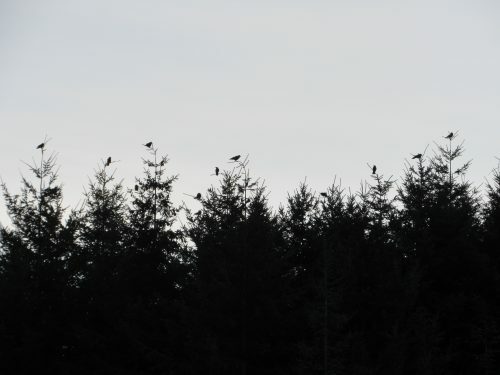 All communications with the outside world were cut off. Our only source of information was the state television, which offered nothing of substance and simply told everyone to stay calm. Alas, we didn’t. As heavy tanks and armored personnel carriers rumbled through the streets, our jet-lagged brains struggled to process a surreal mix of fear, disorientation, and uncertainty about where this violent rebellion might lead. But we had come to Golitsyno to talk about dreams, so that’s what we did, as reality itself took on a strangely dream-like quality. Amid the various lectures and panel discussions, the most memorable session by far was a workshop on dream theater. One person shared a dream, the rest of us chose a role to play based on an element from the dream–e.g., a character, object, setting, or emotion–and then we all performed the dream as a group, with the dreamer as the audience. The process brought out incredible moments of insight, collaboration, creativity, and much-needed comic relief. We were connecting with each other in a way none of the other conference sessions had allowed. The attendees spoke a dozen different languages, so every verbal exchange involved a slow and laborious system of translation. 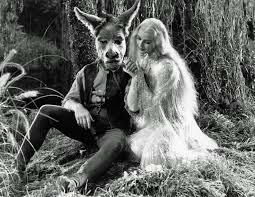 But here in the dream theater, we could act and react to each other immediately, spontaneously, right in the moment. We found the best way to make sense of a world teetering on the brink of chaos was to play with each other’s dreams. Among the many vivid impressions from Golitsyno, this workshop gave me a deep and lasting curiosity about the oneiric dimensions of live dramatic performance. Plays are collective dreams. That has been my hypothesis ever since. A live theatrical show provides a magical space where people can dream together, where shared imaginal experiences can be created, enjoyed, explored, and amplified. It turns out this hypothesis has a long history in the psychology of dreaming. 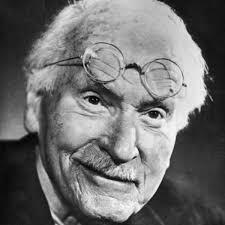 When Carl Jung (1875-1961) taught classes on dream analysis to graduate students at the University of Zurich in the late 1930’s, he told them to start the interpretation of a dream by treating it as the personal theater of the dreamer. Many dreams have a “dramatic structure” that directly parallels the structure of a theatrical play. Jung showed his students how to identify four elements commonly found in stage dramas: 1) the locale, where the dream is set and who is present as a character; 2) the exposition, what kind of problem motivates the characters and launches the plot; 3) the peripeteia, how the plot unfolds and changes over time; and 4) the lysis, how the plot ends, with or without a clear resolution. Analyzing a dream in these terms does not automatically produce a definitive, unambiguous answer. That was never Jung’s goal. Rather, his theatrically inspired approach was aimed at opening up new vistas for interpretative inquiry, highlighting potentials for creative growth while making sure the meanings stay grounded in the dreamer’s lived experience. The Gestalt psychologist Frederick Perls (1893-1970) took Jung’s approach a step further. In his workshops and seminars Perls taught his students to reimagine dreaming as a theater of their own minds: “Every part, every situation in a dream is a creation of the dreamer… Every aspect of it is a part of the dreamer, but a part that to some extent is disowned and projected onto other objects.” Perls emphasized the value of dreams in helping us become more aware of the alienated parts of our psyche, with the goal of eventually embracing those detached elements in a greater whole: “Dreamwork is the royal road to integration.” By “dreamwork,” Perls meant a process of live psychodrama very similar to what we practiced in Golitsyno. He asked for the dreamer to narrate his or her experience in the present tense, like a story happening right now, because “we want to bring the dream back to life.” He gave the dreamer the title of “stage director” for an impromptu dramatic recreation of the dream, with various members of the group serving as characters, settings, and props. Perls encouraged the performers to engage in spontaneous dialogues, the better to highlight unconscious projections and alienated parts of the psyche. The dream theater method my colleagues and I learned in Golitsyno was not as directive and goal-driven as Perls’ approach, which focused on the therapeutic effects of provoking confrontations and reconciliations among the various elements of the dream. Our practice was more open-ended, exploratory, and self-guided; it was not therapy, although it felt deeply therapeutic for many of us. I don’t entirely agree with his views of early child development (humans are relational beings from the start), but I do believe Eberwein’s approach is helpful in highlighting a powerful dimension of dreaming energy that becomes activated when watching a movie. Indeed, I believe this argument can be made even more strongly in relation to attending a live theatrical performance, where the visceral immediacy of the drama comes closer than any other art form to invoking the startling beauty and electric intensity of an actual dream. In a play, the audience and actors share an imaginal space they create and hold together. Within this space, a story emerges that grows and takes a unique shape according to their dynamic interactions during the performance–the live presence of the actors intensifying the emotional responses of the audience, and the live presence of the audience stimulating the creative talents of the actors. The best plays are like the best dreams: surprising, decentering, mind-expanding, awe-inspiring, emotionally exhausting, and acutely memorable. They are unreal, yet realer than real; retreats into fantasy that catapult us into fresh engagement with the world. 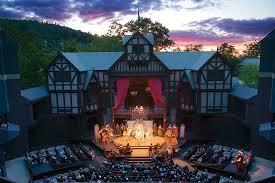 Last year I joined the board of directors of the Oregon Shakespeare Festival in Ashland, Oregon, where some of the greatest theater on the planet is being created and performed. From February to November, eleven plays (usually 4-5 by Shakespeare, one big musical, and the rest original commissions for OSF) are presented in three interconnected theaters. The 2017 season performances began a few weeks ago, and just recently the 2018 season was announced, with favorable attention to OSF’s passionate commitment to presenting plays, both classic and new, that reflect the full range and diversity of the world in which we live today. I’m very excited to do what I can to support the members of this amazing artistic community as they weave dreams and cast dramaturgical spells that transport audiences into imaginative spheres of beauty, wonder, and fiercely relevant insight. I wrote more about the Golitsyno experiences in a chapter titled “Dreaming in Russia, August 1991,” in my 1999 book Visions of the Night (SUNY Press). 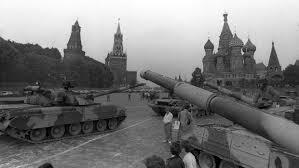 My roommate at the conference center, Michael Dupre, wrote about his experiences in a 1992 article titled “Russia. Dreaming. Liberation.” (Dreaming 2(2): 123-134). The Jung quotes come from the 2010 book Children’s Dreams (Princeton University Press). 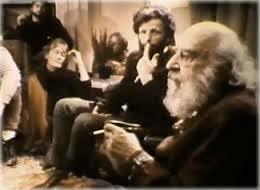 The Perls quotes come from the 1970 book Gestalt Therapy Now (Harper). In a future post I will write in more detail about the work of Robert Bosnak, who organized the “Dreaming in Russia” conference and who has done extensive work connecting dreams and theater, and Janet Sonenberg, who wrote the 2003 book Dreamwork for Actors and who has worked with Bosnak in theatrical contexts. This essay first appeared in the Huffington Post on April 4, 2017, and has been slightly revised.